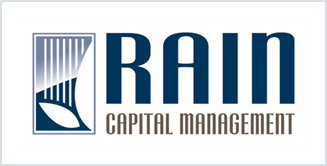 Rain Capital Management | The Limits of Divergence? Negative interest rate policy out of Japan in late January gave markets a taste of just how divergent global monetary policies are today and may have signaled that foreign central banks are approaching the limits of their policy tools. Credit markets were particularly stressed during the quarter, driven largely by the energy sector, and liquidity became scarce in substantial parts of the high yield market. We continue to believe this will remain isolated to the energy sector, as broader economic data point to a slowly but steadily growing economy. Markets ended the quarter largely where they began. Rain portfolios buffered the turmoil by having significantly less exposure to the core risk factors driving volatility (namely equities). The uneasy calm that followed the Fed’s interest rate lift-off in December was shattered at the beginning of 2016 with one of the worst stock market sell offs since the 2008 financial crisis. Initially, markets seemed to focus on slowing growth in China and weakness in emerging markets more broadly. Commodities and foreign currencies fell at the prospect of weakening growth, while market volatility drove money into safe-haven bond markets. As the turmoil spilled over into developed markets, credit markets showed signs of stress and investors began pondering the possibility of a US recession. As we discussed in our last communication, this scenario seemed overblown given the generally decent data coming out of the US. As the quarter dragged on, however, a second phase of panic gripped markets that began with a change in monetary policy out of Japan. In late January, the Bank of Japan surprised markets with the introduction of negative interest rates, after the European Central Bank began messaging a review of its own monetary policy. The idea that global central banks were not only diverging in policy, but now doing so in extreme opposite directions seemed to unseat the conventional wisdom that this process of divergence would remain coordinated and smooth. Furthermore, negative interest rate policy is an aspect of the quantitative easing toolkit that is not as well researched or understood as the more ‘conventional’ zero interest rate policy. This had the effect of signaling a sense of desperation by the ECB and BOJ; foreign central banks were perceived to be approaching the limits of their policy tools. Global credit markets came under perhaps the most extreme stress during the period. The low interest rate environment in recent years fueled a search for yield that created unusually easy credit conditions, especially for riskier borrowers. Combined with the lack of liquidity in credit markets (something we’ve discussed in the past), stress in these markets drove credit spreads – the different between rates on corporate bonds and safe-haven US treasuries – to levels not seen since the 2011 European debt crisis. The stress was particularly acute with energy companies as markets speculated about a rise in default rates in the sector due to plunging energy prices. By some accounts, nearly 40% of the $1.8 trillion US high yield bond market did not trade at all during the months of January and February, meaning liquidity was scarce to non-existent in substantial parts of the high yield market. On the one hand, the recent stress in high yield markets could be dismissed as an isolated situation, largely driven by pain in the US oil industry. On the other hand, however, sharp increases in credit spreads (even when initially isolated to sector-specific stress) historically have been a leading indicator of recession. High yield credit spreads in the tech sector rose in early 2000 much like financial sector high yield spreads rose in 2007, in both cases proving to be a harbinger of broader economic contraction. In both cases, however, there were plenty of other data indicating economic weakness, including a yield curve that was screaming recession. In the present case, US data continue to point to an economy that is slowly but steadily growing and a yield curve that indicates the likelihood of recession well below 10% over the next 12 months. Nonetheless, the developments in recent quarters – weakness in foreign markets, a stubbornly strong dollar, widening credit spreads, falling commodity prices – had the effect of creating doubt in the market about the outlook for the US economy. After all, the Federal Reserve had predicated its December rate hike on a positive economic outlook. If the Fed was wrong or, worse, if its exit from easy monetary policy was actually causing or exacerbating these problems, it would spell a much different interest rate path than markets had come to expect since the Fed’s December meeting. Much like negative interest rate policy signaled a limit to the policy tools available to Europe and Japan, the sense that the Fed might have a tiger by the tail as it attempts to exit easy money, signaled that the Fed too may be approaching the limits of its policy tools. In this context, by March markets began to price in a much more gradual pace of tightening than had previously been envisioned, a pace that reflects a Fed that may have to tiptoe its way through tightening. Data of course change, and markets are far more volatile than fundamentals. Q1 ultimately ended with equity markets roughly where they began the quarter, credit markets healing and bond markets in slightly positive territory. We continue to believe that correlations between traditional asset classes will remain unstable for the foreseeable future. Rain portfolios are built to withstand a wide range of economic scenarios. In the current market, that means using lower volatility equity strategies to limit risk, rather relying on interest-rate sensitive bonds to buffer volatility; it means using defensive strategies that can preserve capital under a variety of interest rate and credit market scenarios; and it means using some growth strategies that are less dependent on the direction of equity markets to generate returns.